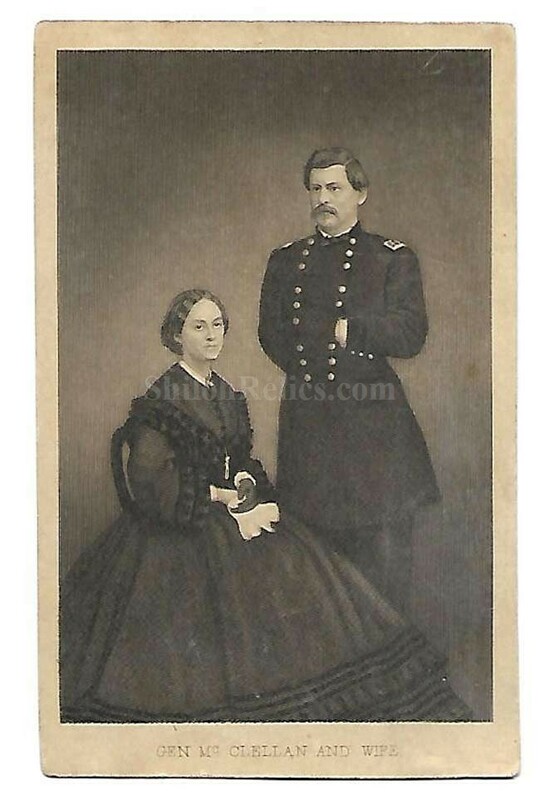 Here is a fine original Civil War era CDV image of Union General George B. McClellan and his wife. The face of the card shows the General in his General uniform with his wife, Mary, seated in front of him. The view is from the full-length and he has a very stately look. These were often sold in quantity to people on the home front that wanted to see what the men they read about in the papers looked like. Just below the image it reads "GEN McCLELLAN & WIFE”. This is the version that was produced by printing the image from a steel plate and they are known as a "Steel Engraving. 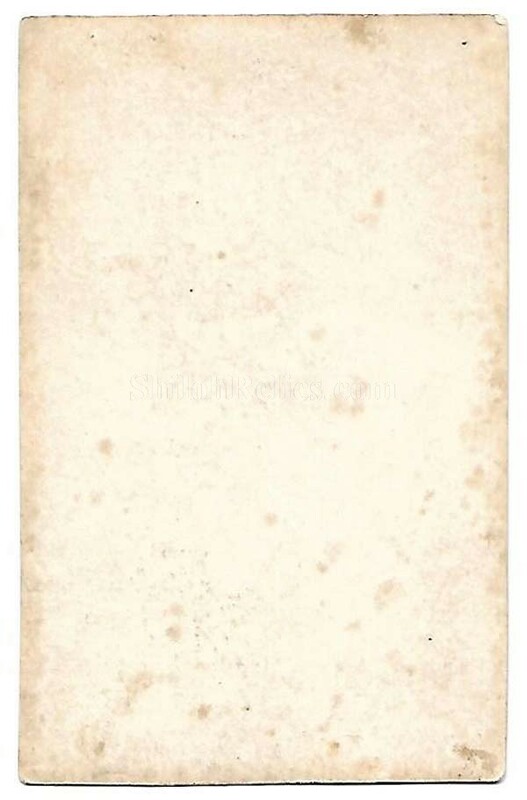 "The back of the card is unmarked so it could be sold by any retailer without advertising for the actual printer.